Well there it is folks, my double nose piercing. So many of my friends have their nose pierced, that I decided to step outside of the box a little and do something different. I got to spend the rest of the evening celebrating a couple of friends' birthdays, feeling like a had gotten punched in the nose. But my best friend and I got our nose pierced again together, so it was nice to have someone to go with. All in all the night was very fun, I love being surrounded by great friends. I hope you all are having a good weekend! I need my nose pierced like this, have wanted it for a while now! It look great on you. Also had a look through your blog, you have great style. You are so beautiful! Really unique idea too, lady! wow, that's a good idea! The piercing suits you really well! :) Is there a little pink diamond? I wish I had courage to pierce mine, also, because I think they look great! Great blog girl, looking forward for your next post! ;) I hope you had a great weekend! Some people really can't pull it off. 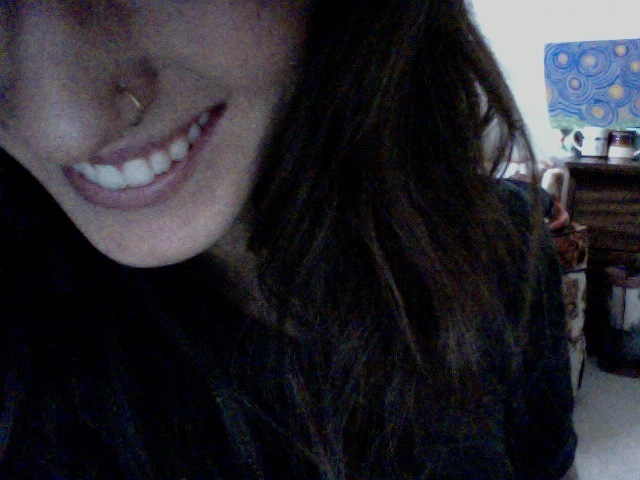 Ahh I miss my nose ring now :( A double piercing is an awesome idea and it definitely looks great on you. Sooooo pretty chick , love the piercing fab idea sweetie. I would love my nose pierced. Thank you so much for your lovely comment on my blog. Whoa! It looks awesome! Niiice! I kind of want to pierce my nose now! i cant really see it! but to be sure, its a ring then a stud yeah? either way you look gorgeous! and your hair is awesome too! hello gorgeous! love your hair- the fringe looks great on you!